Located in Vila Do Bispo, Hotel Mira Sagres has antique facades and overlooks the 16th century Mother Church. It features modern rooms, spa facilities and an indoor pool. 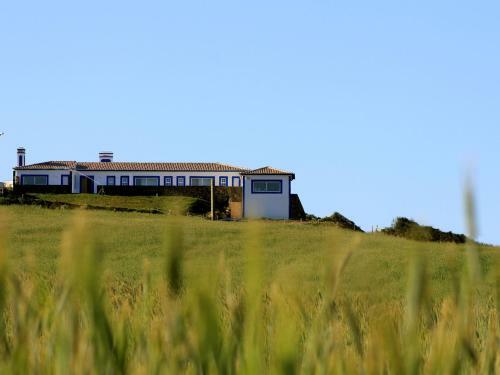 Set in an ample farmland, Barranco do Zambujeiro offers a peaceful and quiet accommodation with the Atlantic Ocean in the horizon. Located in the tranquil town of Vila Do Bispo in the Algarve, Casa MESTRE Guesthouse offers pleasant outdoor areas with gardens and a hot tub. Free WiFi is available. This guest house offers rooms with panoramic views of the surrounding agricultural farmlands in the Algarve. It includes a country-style living room with open fireplace and spacious terrace overlooking the Promontorium Sagres and Costa Vicentina. Pure Flor de Esteva B&B is centrally located in Vila do Bispo, 8 km from Sagres and 5 km from the Surf beaches. Free WiFi access is available. Rooms include double or twin beds and access to private bathrooms facilities with shower.